Now more than ever young business leaders must measure their success not only by the yardstick of personal advancement but also by the ways they contribute to improving the world around them. 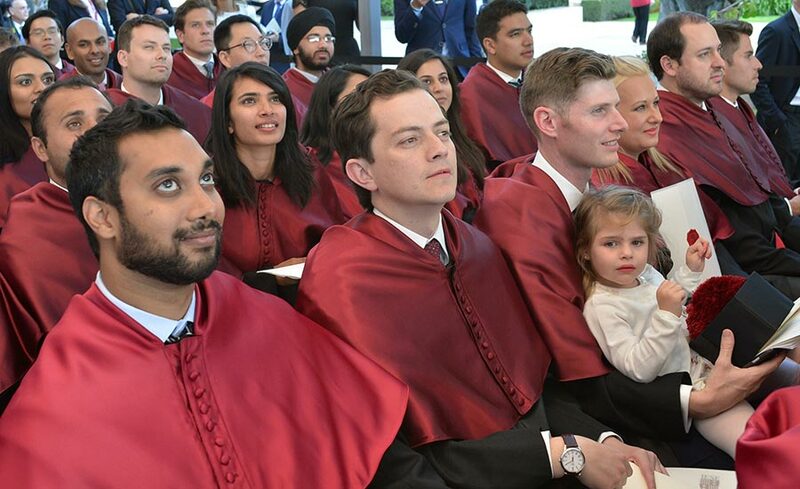 This was among the recurring messages to the MBA Class of 2017, which celebrated its graduation on Friday at the Barcelona campus, marking the end of a 19-month learning journey at IESE and the start of a lifetime quest to leave a mark on society. The world needs you. You can personally do something about the world. You can have an impact, all of you, said keynote speaker Kees Storm, a prominent Dutch businessman and former chairman of the executive board of Aegon life insurance group. I am convinced of the need for today’s leaders, in addition to having an outstanding technical preparation, to champion ways of working that promote the common good over individual good, echoed Alfonso Sánchez-Tabernero, president of the University of Navarra. Carlos García Pont, director of the MBA program, issued a similar challenge to the 293 graduates: I want you to make a mark that’s going to make the world a better place. The task is all the more urgent, Storm noted, since graduates finish their studies at a time of great uncertainty: from an unpredictable U.S. presidential administration to a Middle East plagued by war and upheaval, to a festering global refugee crisis. He lamented that responsible, realistic political parties seem to be losing ground to populism around the globe. And extremely low interest rates are also allowing governments to assume worrying levels of debt. We are dancing on a volcano, Storm said. And in this situation you will have to find your way. And while global poverty numbers have declined in recent years, economic inequality between countries and within countries is more gaping. Trade is a way to lift developing countries out of poverty, but the developed world must also take a long hard look at their own populations and find ways to more fairly distribute income. In our rich countries there will be an end to the rich getting richer if the poor stay behind, he said. Storm encouraged the graduating MBAs to undertake meaningful work; he noted that his activities over the last 10 years when he has focused much of his energy on raising money for cancer research and creating a quality health care provider in several African countries have been some of the most rewarding of his life. But making a lasting impact requires approaching management in a different way. In order to mobilize the world and to mobilize your future organizations, we need you not only to manage, but to lead. 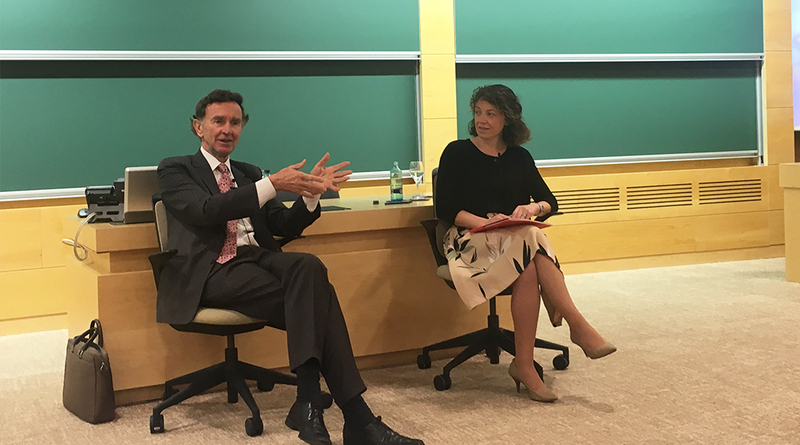 IESE Dean Franz Heukamp also stressed the need to lead with integrity. As executives, you have the opportunity and responsibility to serve others, to be truly helpful by being considerate towards people, and to be altruistic leaders. This, ultimately, is the most humane and effective way to lead. García Pont called on graduates to remember throughout their lives the ways that the diversity of the IESE student body had enriched their learning experience. 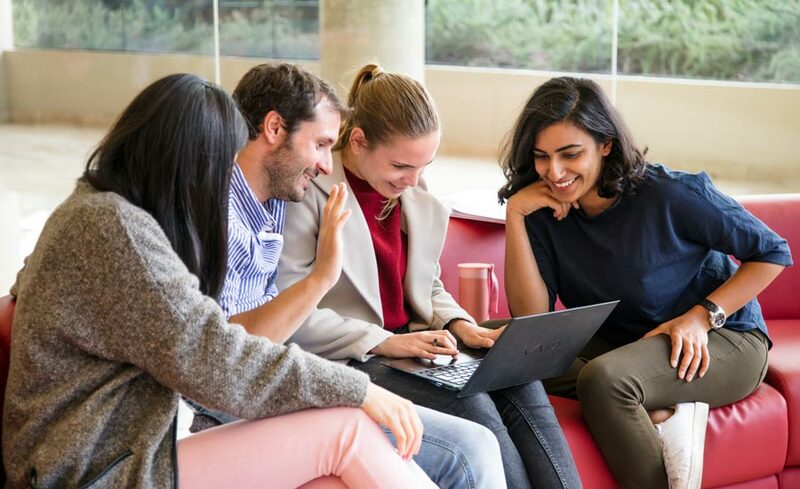 More than 60 nationalities are represented in the MBA program, and graduates work in a broad range of sectors around the globe. You learned to truly listen to each other beyond spoken words. You learned to discern the richness of humanity in these differences. You learned to discover a wide array of learning opportunities. Never forget it, he said. 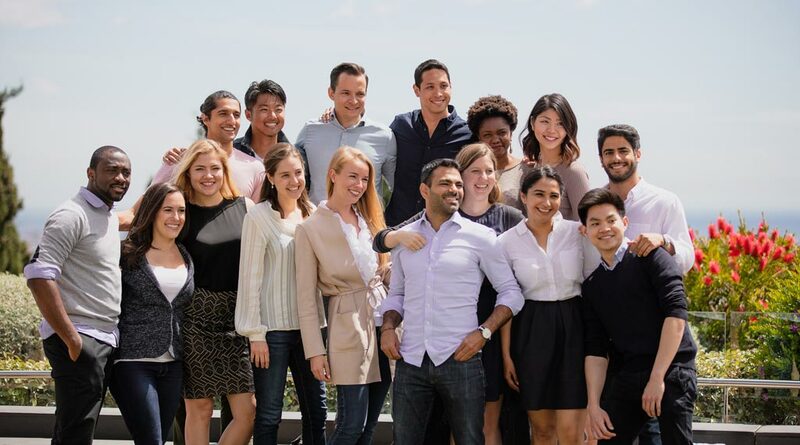 Class President Michael Mascarenhas also remarked on how working alongside so many people from different backgrounds had defined his IESE experience. This distinctive environment has allowed each of us to develop a better understanding of who we are, what we want, and how we are going to achieve it, he said. The way I see it, each of us has a choice to make on how we utilize these learnings to drive the next phase of our lives. On the one hand, we can work hard, be successful, and live a happy and healthy life, Mascarenhas said. On the other hand, we could choose to do all that, but also give back. To use what we’ve learned here, in one way or another, to make the lives of others better in the process. For Mascarhenhas: I hope for all of us the choice is crystal clear choose to give back. Find something in your personal or professional lives that you love and spread it, or find something you hate and strive to make it better.